The natural oasis of Phinizy Swamp and Nature Park offers the experience of natural wonder available on Augusta's doorstep. Famed conservationist Rachel Carson once wrote on the reserves of strength and infinite healing found "in the repeated refrains of nature - in the assurance that dawn comes after night, and spring after winter," and there is no place where nature has proven more steadfast and resilient than Phinizy Swamp, just outside of Augusta. Free to the public, and open from dawn until dusk every day of the year, Phinizy Swamp holds a special place in the hearts of Augustans, for the history of the region has been filtered through it's intricate web of grasslands, tree roots and soil for generations. First inhabited by the Native Americans, the area encompassed by the swamp was home to European settlers in the late 1700s, and in its days as a cotton plantation, is thought to have been the site to one of Eli Whitney's first cotton gins. But there were also inglorious times in its storied past that rendered the land a dead zone with little or no life for a time. Sewage was an issue from the 1880s until 1968, when a wastewater treatment plant was built to address the issue, but it was soon overwhelmed. In 1993, the idea to use the wetlands as a third step in the treatment process brought rebirth to the centuries-old swamp area. In present day, Phinizy occupies more than 1,000 acres of a total of an estimated 7,000 acres of swamp in the surrounding area between Doug Barnard Parkway, Gordon Highway, and the Savannah River. 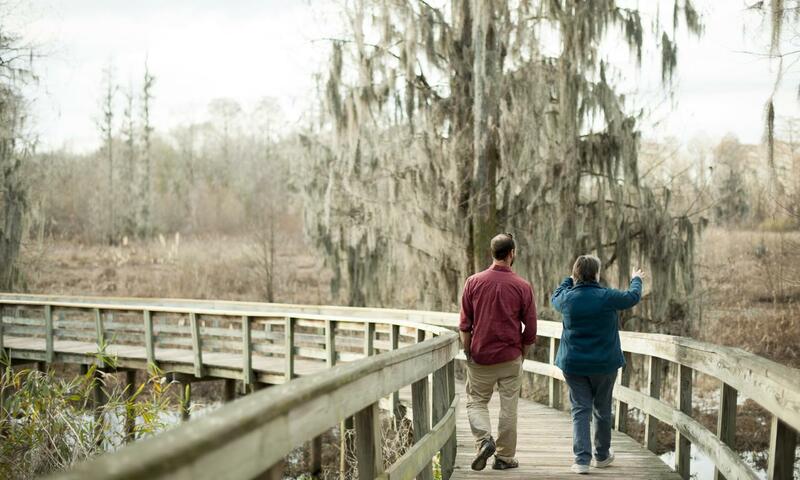 While the overall mission of the Phinizy Center is to provide leadership for sustainable watersheds and economic vitality through research, education, and by connecting people with nature, it is the later part of that mission that Carol Couch, Executive Director of the Swamp and Nature Park and Phinizy Center for Water Science, sees as the most dynamic: connecting people with nature. "There are so many stories to be told," says Couch of the swamp's history, "but, there are so many more stories being written every day by those who come here." The park draws more than 35,000 visitors each year to the boardwalks and trails the park offers. It is a place where people can connect with nature in their own personal way, via hiking, biking, walking dogs, taking photos, or bird watching, to name a few. Family gatherings, weddings, and celebrations often take place against the park's beautiful backdrop. What Couch and her staff find most gratifying is the sound of children's voices from the recently installed new playground. "Who will be the future stewards of the earth if kids aren't connecting to nature now?" asks Richard Louv, author of Last Child in the Woods. "We can't love something if we don't know it." Couch thinks that what she hears in the young voices may provide the most important connection of all - of the hearts and minds; and she hopes it might be possible that the sight of a wading blue heron of the sound of an alligator's croak will be the spark that ignites the next generation when it comes to making wise choices that impact the future environment. 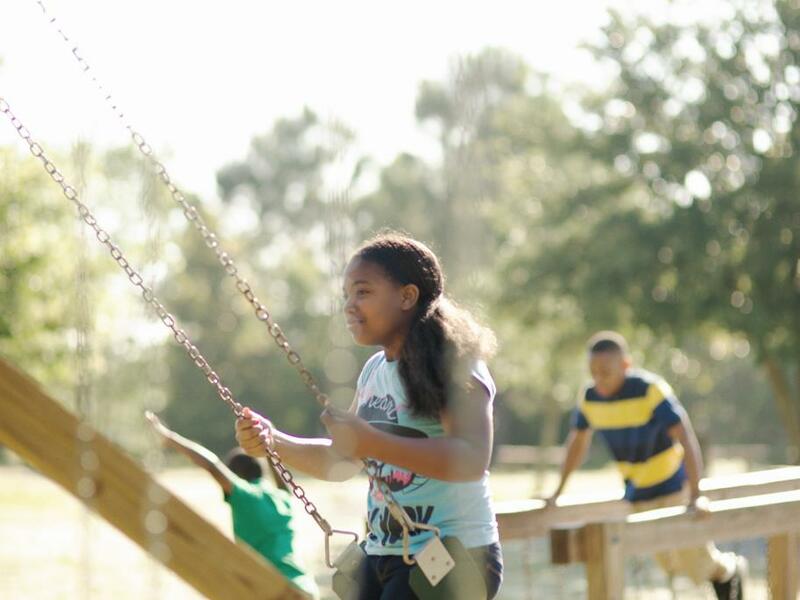 "Who will be the future stewards of the earth if kids aren't connecting to nature now?